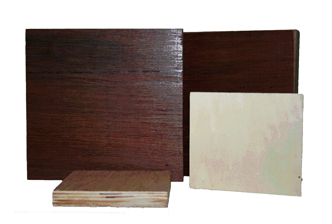 Unimpregnated densified laminated wood, consist of layers of cross laminated thick wood vaneers, bounded and densified under heat and pressure. Wood laminates are used transformers and railway coaches. In transformers they are used for coil support ring, winding support flanges, supporting cleats, and terminal boards. In rail coaches, wood laminates are used in slates and back rests in seats, board for floor, and other applications, due to its excellent bending strength and less water absorption properties. MICAPLY - pioneer in field of high performance composite materials. Since past 25 years MICAPLY have been providing groundbreaking innovative solutions in composites components and electrical insulation materials to meet the precise requirements of user's in power, defense, railway & automobile sector. As a leading manufacturer of composites, Micaply offers the state of art composites manufacturing processes. When a customer selects MICAPLY, they are ensure of using world-class products exactly as per the standards. MICAPLY works with a mission of providing worlds best composites solutions, by designing, developing and producing high performance and reliable composites equipments.